When you buy a system you invest in more than software. You invest in a long-term partnership. There are many providers who specialise in just one ERP software. Often, they'll try to convince you their one solution will do wonders for your company. In reality, it doesn’t work that way. Every business is different. An ERP software that works well for one company may not be suitable for yours. At AFON, you get not one, but four world-class ERP software to choose from. Our clients love the fact that, together with our consultation, they’re able to get the best-fit solution for their business. Good ERP implementation requires more than just knowledge. We make sure our consultants are qualified accountants and/or certified IT professionals. We believe this balance of finance and technical skills is crucial for addressing real business needs. And unlike some providers, we don’t outsource our support team to third-party personnel. This gives our clients the assurance that we’re able to deliver the results they need. We’ve won many awards over the years. Awards like Partner of the Year, Best Implementation Partner, and Highest Achiever in S.E. Asia. But more than that, our clients take assurance in how rapidly we gained recognition. 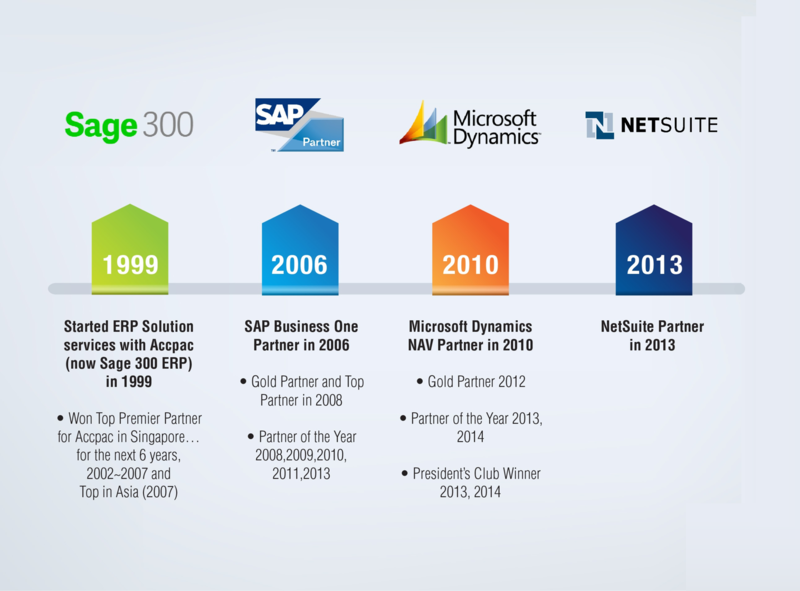 On average, we hit Singapore top partner status in just a few years upon taking on a new ERP software. That’s huge. That’s way ahead of most competitors. And that says a lot about our expertise. Raise productivity, slash costs, boost visiblity and control and more. See how we helped one Singapore listed company boost their logistics productivity by 50%.